Last year, I knitted a super simple scarf. A number of people complemented on it, and kept on asking for a pattern. 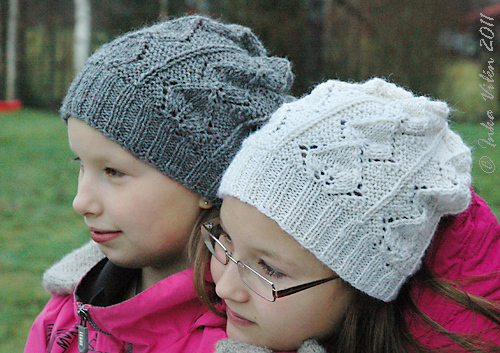 Though this one is super simple, I promised to write them a pattern for it. 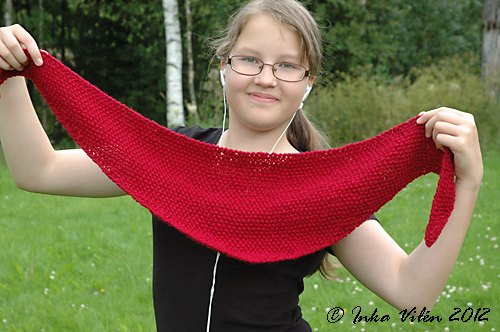 So here you are: Super Simple Scarf. 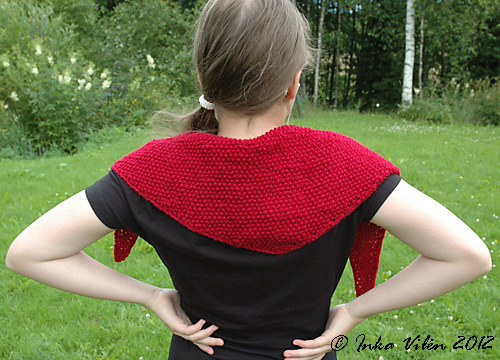 And because this is a super simple scarf, it’s also a super simple pattern: I’ve also omitted all the abbreviations. 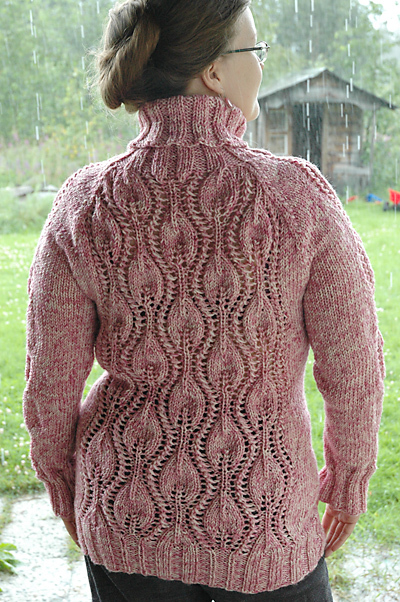 Addition: You can also find this pattern in Ravelry (though at the moment it links back to this blog). Thinking about turning this into a pdf, too. Please note that this pattern goes with any yarn and the size of the scarf is easily adjustable, and the amount of yarn needed is relative to yarn chosen and the size wanted. This scarf is best when soft, so choose your needles big enough (I suggest trying out needles a lot bigger than the suggested needle size for your chosen yarn is). Cast on 5 stitches. Knit all stitches, including the first and the last stitch. Turn the scarf. Knit the first stitch, purl the rest, except knit the last one. Turn again. 1) On the right side, always knit the first two stitches, yarn over, knit until two stitches remain, yarn over, knit the last two stitches. 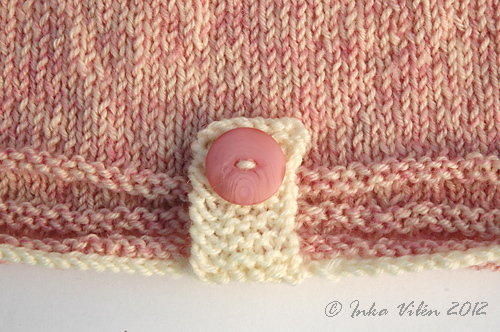 2) On the wrong side, knit the first stitch, then purl until one stitch remains, and knit that last stitch. That is, the width of the scarf is increased by two stitches on every right side, and in between the increases, there’s always an uneven number of stitches. 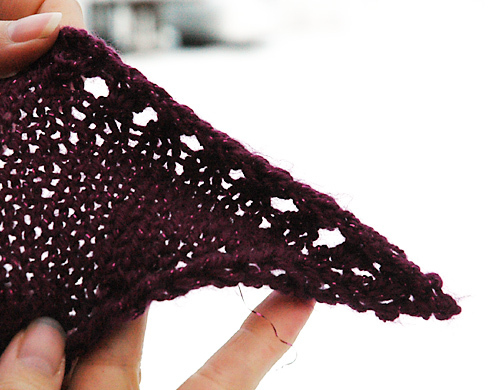 Repeat these two rows until the scarf is approximately 2 cm shorter than the finished scarf. Mine was about 70 cm when I began the final rows. On the right side, knit the first two stitches, yarn over, repeat knit 2 together and yarn over until three stitches remain, knit 1 stitch, yarn over, and knit the final two stitches. 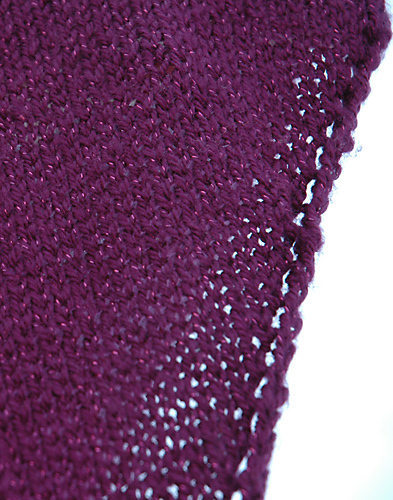 On the wrong side, knit the first stitch, purl until 1 stitch remains, and knit the last stitch. Cast off loosely in you preferred cast off method. Weave in the ends of the yarns, and block the scarf. Since my scarf was to wear for training, I never blocked it, and therefore it keeps rolling. 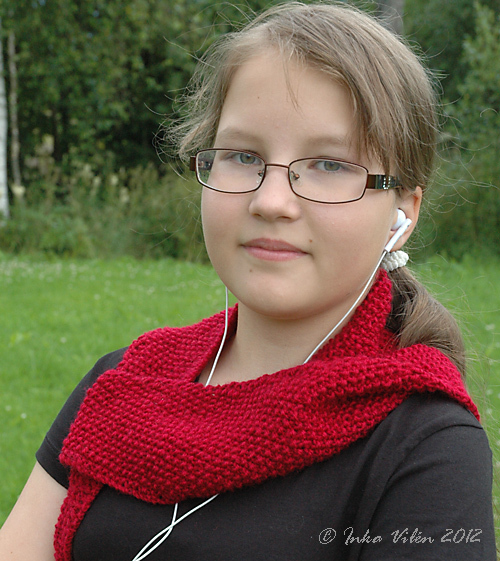 There you go – this was a super simple scarf, wasn’t it? Huomaathan, että tämän mallin voi kutoa millä langalla tahansa, ja huivin kokoa voi helposti säädellä haluamakseen – tämä luonnollisesti vaikuttaa langan menekkiin. Valitse puikkokoko siten, että saat mieleistäsi jälkeä. Tämä malli on parhaimmillaan, kun huivi on pehmeä, joten kannattaa kokeilla reilusti suurempaa puikkokokoa kuin langan suosituksena on. Luo 5 silmukkaa. Kudo kaikki silmukat oikein, mukaan luettuna ensimmäinen ja viimeinen silmukka. Käännä työ. Kudo ensimmäinen silmukka oikein, kaikki muut nurin paitsi kerroksen viimeinen silmukka jälleen oikein. Käännä jälleen. 1) Oikealla puolella kudo aina kaksi ensimmäistä silmukkaa oikein, tee langankierto, kudo silmukat oikein, kunnes puikolla on enää kaksi silmukkaa, tee langankierto ja kudo viimeiset kaksi silmukkaa oikein. 2) Nurjalla puolella kudo ensimmäinen silmukka oikein, sen jälkeen kaikki nurin paitsi viimeistä silmukkaa, joka kudotaan jälleen oikein. Toisin sanoen huivi levenee kahdella silmukalla jokaisella oikean puolen kerroksella, ja langankiertojen välissä on aina pariton määrä silmukoita. Toista näitä kahta kerrosta, kunnes huivi on noin 2 cm lyhyempi kuin valmiina. Oma huivini oli tässä kohti noin 70 cm kärjestä mitattuna. Oikealla puolella kudo oikein kaksi ensimmäistä silmukkaa, tee langankierto. Tämän jälkeen toista 2 yhteen ja langankierto -yhdistelmää, kunnes jäljellä on kolme silmukkaa. Kudo 1 silmukka oikein, tee langankierto ja kudo viimeiset kaksi silmukkaa oikein. Nurjalla puolella kudo ensimmäinen silmukka oikein, sen jälkeen kaikki nurin paitsi viimeinen silmukka, joka kudotaan jälleen oikein. Päättele löysästi mieleiselläsi päättelytekniikalla. Päättele langanpäät, kastele ja pingota huivi. Omaa huiviani ei ole pingotettu, koska se tehtiin harjoitteluhuiviksi. Tämän vuoksi huivini reunat tuppaavat rullautumaan. Kuten todettua, tämä on supersimppeli huivi. 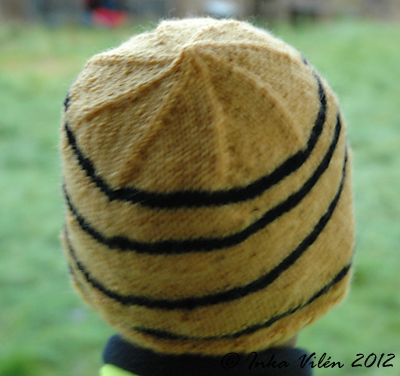 My autumn season has been full of hat-knitting projects. 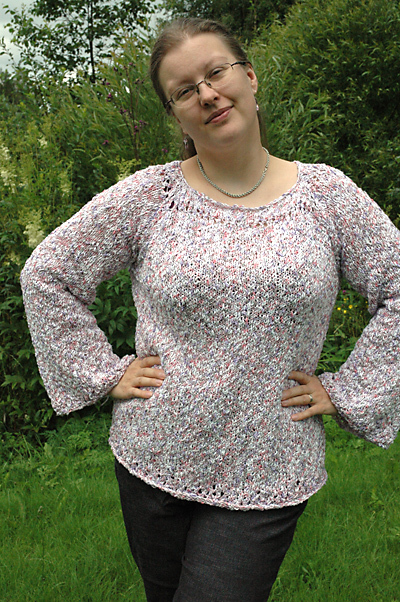 I had had a fun-looking pattern Zportz (Ravelry link) in my queue for ages. 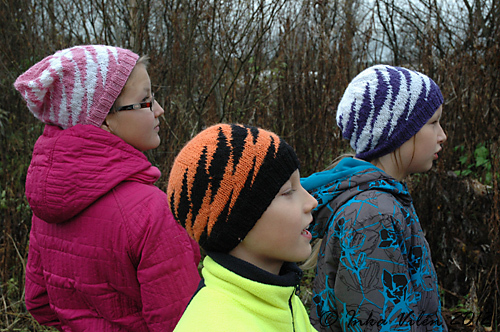 Kids chose their favourite colour combinations, and off I went with knitting. 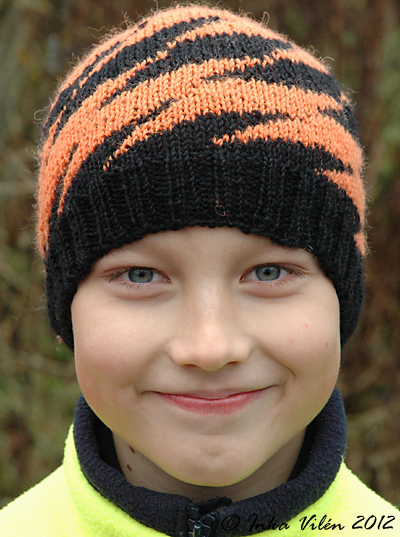 The first one (Ravelry link) knitted was in orange and black. 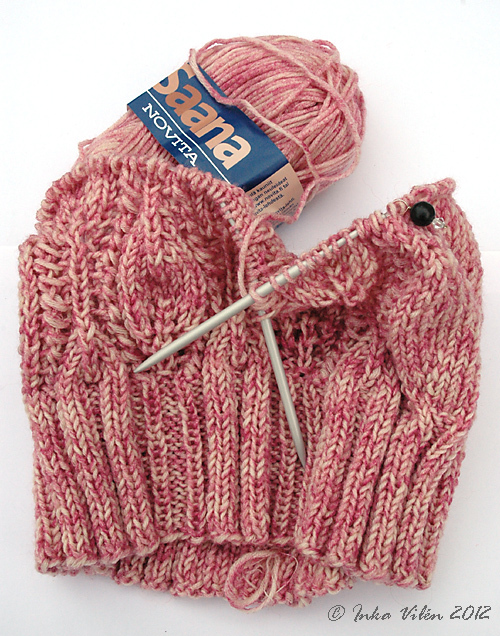 The needles were 3,0 mm for the ribbing and 3,5 mm for the hat. 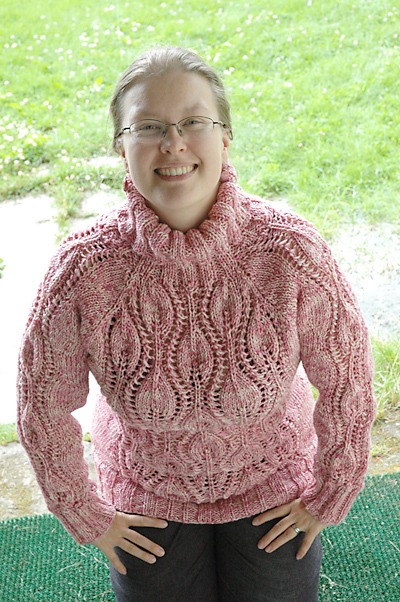 I had some trouble with the yarn loops, tended to make them too small, but it turned out wearable. Yarn Novita Nalle Aloe Vera and Novita Nalle. The second one (Ravelry link) was easier to knit, now that I had had the hang of it. Purple yarn Novita Wool, white Novita Nalle, and I also chose a bit bigger needles: 3,5 mm for the ribbing and 4,0 mm for the hat. For the third one (Ravelry link) I dared to do some modifications. 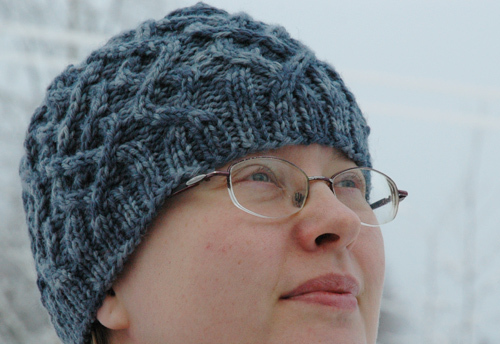 I knitted an extra first part of the pattern to make the hat more slouchy. 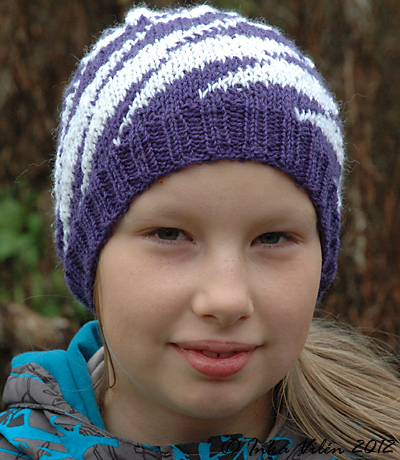 Pity that in our shop nearby there were no hot pink yarn, kid would have loved that even better. 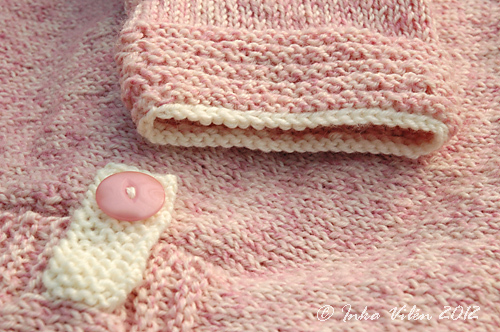 As it is, we had to settle for pale pink and white yarn (Novita Nalle). 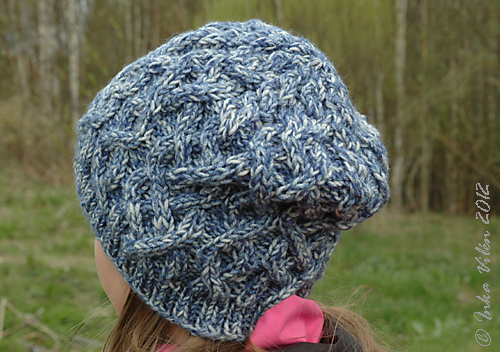 Zportz is a nice-looking hat which is somewhat easy to knit, once you remember to make the yarn loops long enough. The pattern presented itself: looks good in any colour combination. And so it does! 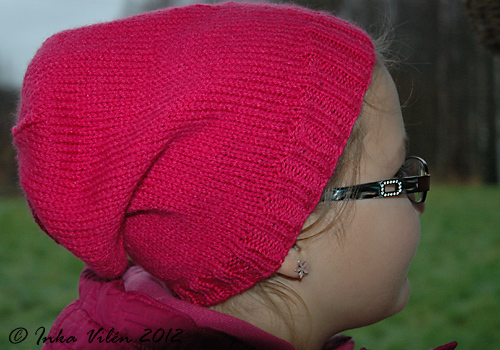 Since kid wanted a hot pink hat, that’s what she got (Ravelry link). I’m not into acrylic, but since the colour was more important than the material, we picked up Madame Tricota Star (100% acrylic) for this hat. 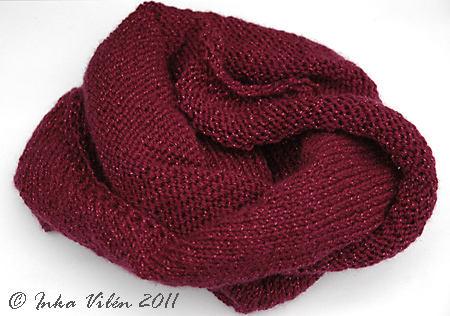 Acrylic is nice to knit, though, and as a seasonal accessority it quite nicely does it’s job. Needles 3,5 mm for the ribbing and 4,0 mm for the hat. 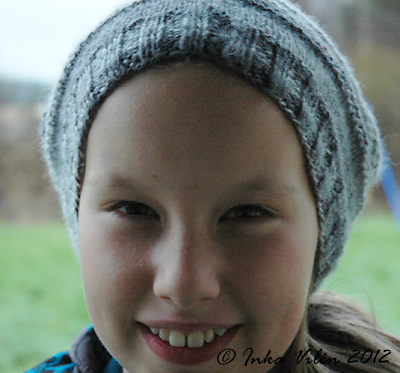 The other kid picked up a skein of Madame Tricot Angora (40% angora, 60% acrylic) and wanted to have a hat knitted of it (Ravelry link). I was a bit worried of the colour changes, I didn’t want this one to end up striped-looking, so I decided to make it in a different manner: with shortened rows. Needles 3,5 mm for the ribbing and 4,0 mm for the rest of the hat. 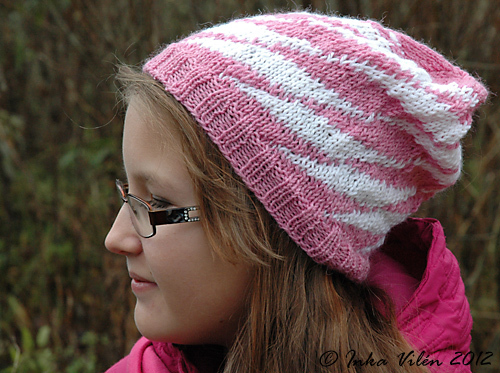 The result was quite nice, and the shortened rows with a few rows of purl and knit were a nice choise for this hat. 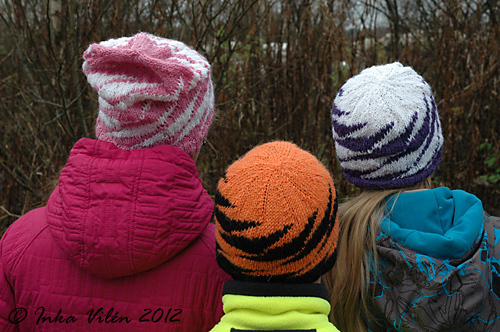 I’m considering making another hat like this, but with a different yarn. 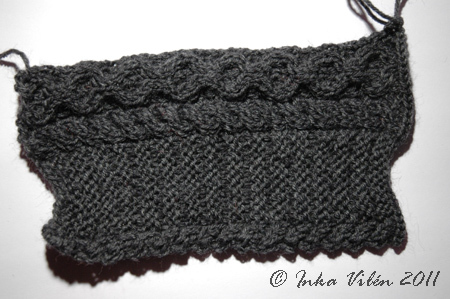 While knitting the previous one, I decided to use the shortened rows in a bit more complex manner (Ravelry link). Knitting knit only, this one didn’t turn out as nice, but kid loved it anyway. Yarn Novita Nalle Alove Vera and Novita Nalle, needles 3,5 mm for the ribbing and 4,0 mm for the rest. Need to give this idea another go, too. 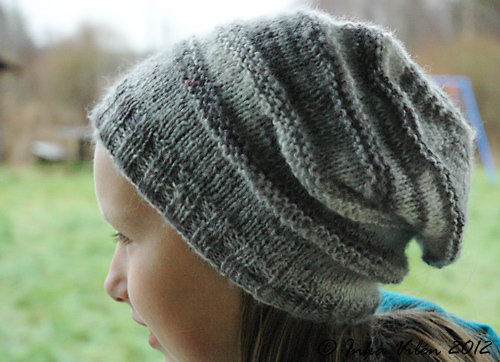 One more hat, this time for myself (Ravelry link). 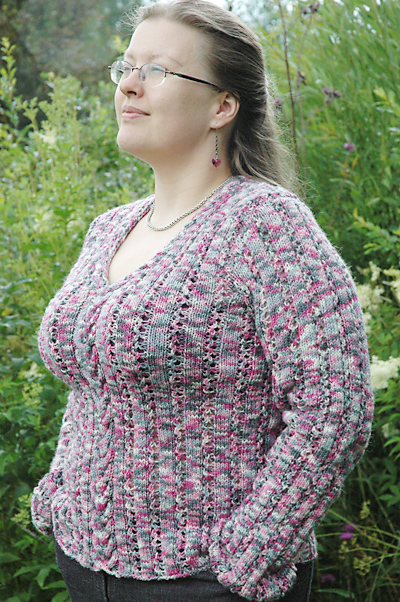 It’s yet another version of the popular pattern Habitat (Ravelry link). 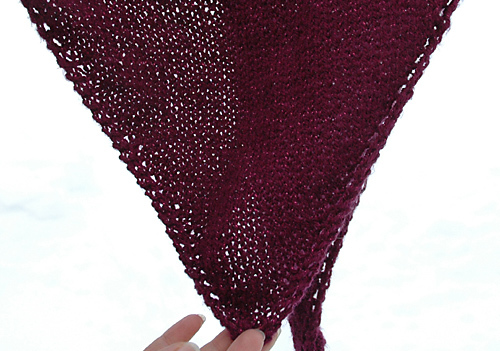 I had some leftover Novita Isoveli Colori yarn, which I thought would be perfect for this pattern. 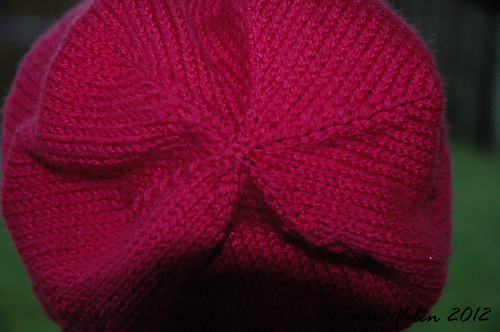 Needles were 4,5 mm for the ribbing and 5,0 mm for the rest of the hat. This one being my third version Habitat, I found it progressing nice and quick: in a couple of nights I had finished it. I’m not all that fond of thick yarn and thick needles, but hopefully this hat will keep my ears warm in a colder weather. This sweater has been nearly-there for a few weeks; only the buttons were missing. A couple of days ago I finally had time to go button-hunting, and I was happy to find nice ones on the first go. Let me present, my 10 day sweater (Ravelry link to the pattern) (which definitely wasn’t finished in 10 days, due to several other projects). 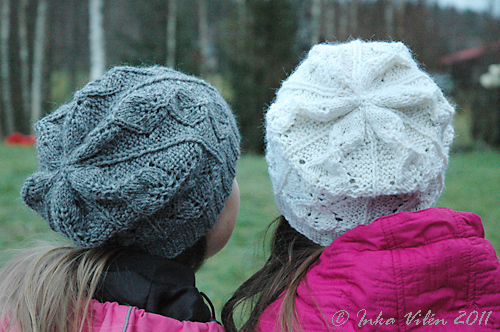 This pattern is by Villapeikko. The simplicity immidiately caught my eye, and as I realized I had some nice yarn in my stash, I put it in the top-five of my queue. I began my 10 Days (Ravelry link) in late April, and despite of rather thin yarn it was quite quick to knit, thanks to needles of 4 mm. The yarn I chose for this sweater is old Novita Wool (100% wool) which I bought several years ago from sale, and the contrast colour was some random skein of off-white Novita Wool. The amount of yarn needed was less than 450 grams. Though somewhat simple, there are a lot of nice details to this sweater. The hem is asymmetrical, and there’s a button band for decoration. Similar button bands can be found in the front, too. 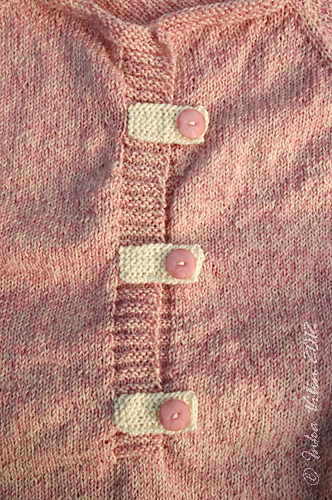 Since I have no intention of unbuttoning the sweater, there are no button holes. 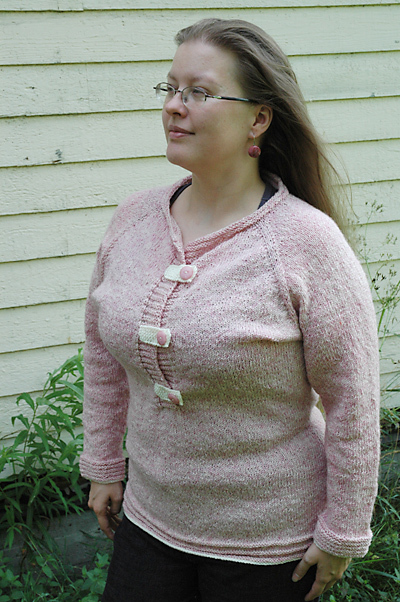 In the original pattern, the sleeves were knitted in reverse stockinette. In my sweater, I decided to knit the sleeves in stockinette instead. 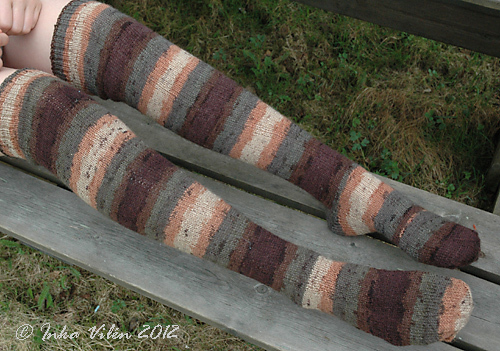 There were also a few more of the purled stripes in the cuffs of the pattern, but I only knitted five of them. This sweater is light and soft and lovely to wear. 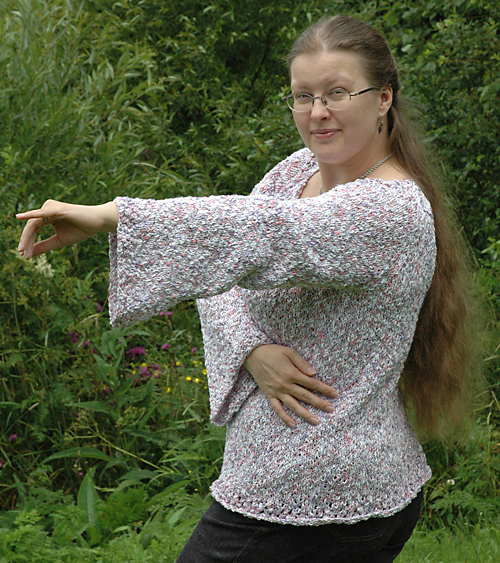 The size is perfect, and the sleeves are exactly the right lenght. I’m sure this will be my number one summer sweater in the coming years. This sweater completes my straight flush of pink sweaters. There’s more pink on my needles, though – I was nearly running out of UFO’s, so I balanced out the situation by casting on a couple of projects during the weekend. Don’t hold your breath, though; it might takea a while or two before those are finished. I’m rather true to myself in choosing colours. 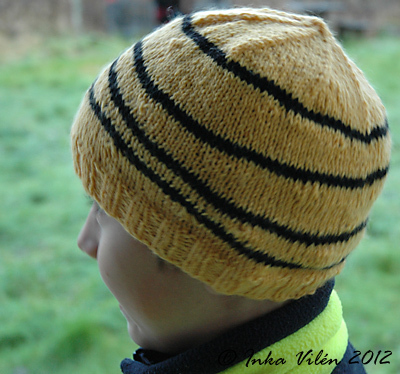 I had an old, old yarn Rondo Pinja (35 % cotton, 48 % acetate, 11 % acrylic, 6 % polyester) by Helsingin Villakehräämö Oy/Rondo. I assume that the yarn is from the 1990’s or perhaps even older than that. 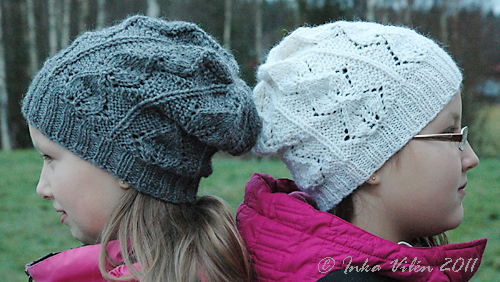 Began this project in June 2008 (Ravelry link). The yarn was hidious to knit (needle size 5), but I just love the bulky texture with pink, purple and gray stripes on white. Had difficulty first picking out the pattern, figuring out the right shape for the sleeves and finally figuring out the neckline. 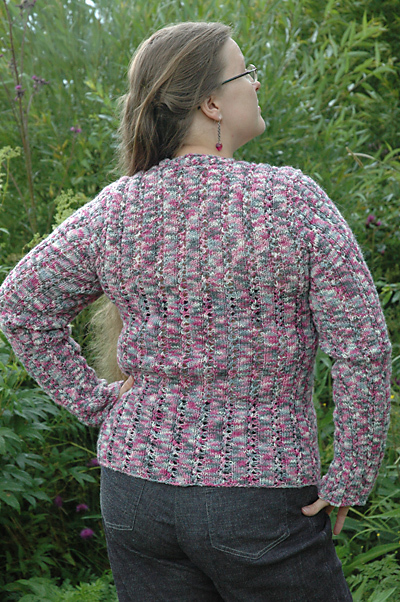 The sweater is knit in stockinette stitch, with a touch of lace on sleeves, hem and neckline. 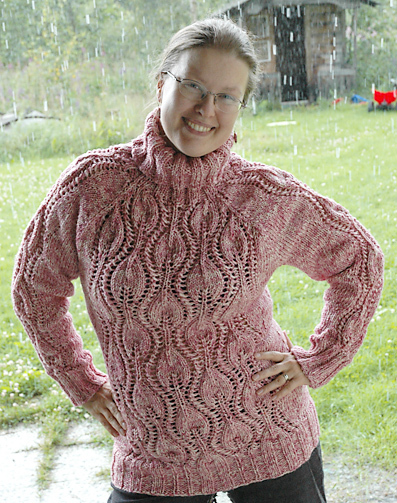 Could have given the sweater some more shape around the waist, but the yarn was rather unpredictable. 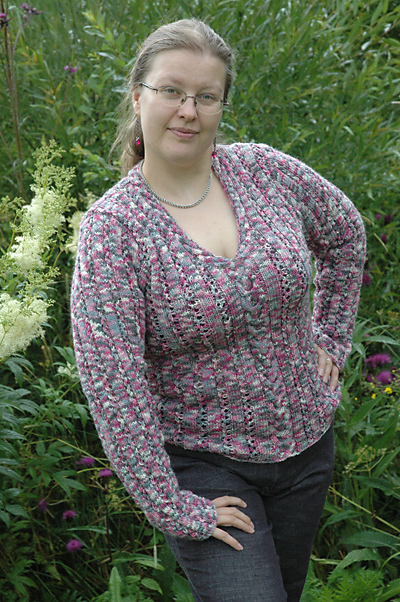 I finished the sweater in 2009, but only managed to weave in the ends last summer (no news). Today I finally wore it for the first time, apart from the photo shoot. 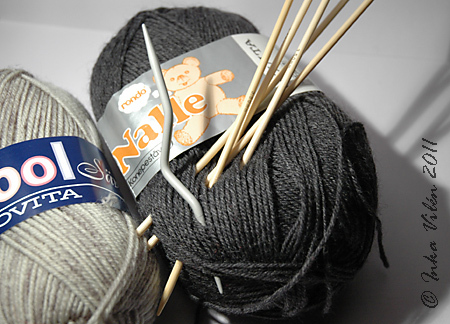 My all-time favourite shade of Nalle Colori (75% wool, 25% nylon) is definitely the one with pink and grey. 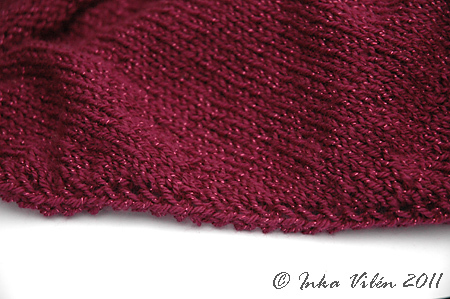 Earlier, I had knit a wine-coloured sweater with V-shaped neckline and simple stockinette and lace texture. I’ve worn that sweater so much, though it turned out to be too loose and over the years it has lost all it’s shape. Therefore I decided to make another, but perhaps a bit more fitting one, of my favourite colours (Ravelry link). Well, I might have gone a bit overboard with trying to make the pattern fit better. On the other hand, if this sweater does the same as the one before, this will be more or less loose in no time. A little bit of extra length would have not hurt, though – I tend to like my sweaters a bit longer than this. 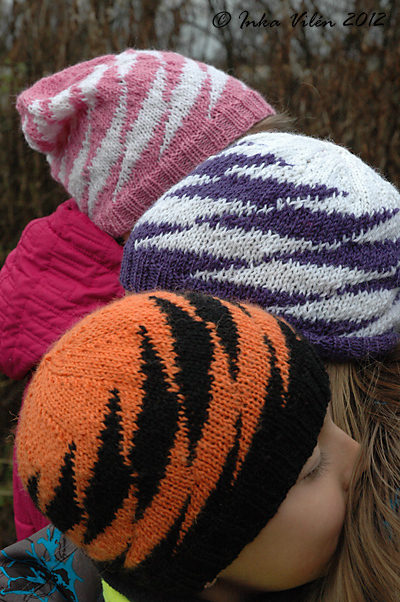 Began the project in November 2010 and knitted it every once in a while, making slow progress. Finally took up sewing the seams a week ago. Yes, why hurry? Two more pink projects to present. Stay tuned! 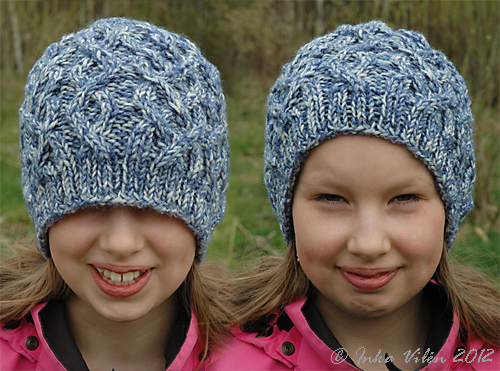 Presenting a couple of items which have been my knit-these-if-you-have-no-inspiration-to-knit-anything-else projects. Theoretically quick(ish), but slow in my manner. 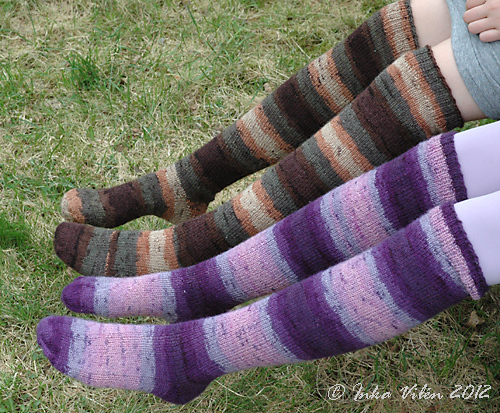 Legwarmers (Ravelry link) of Novita Polku, needles 3 mm. Simple legwarmers with k2,p1 ribbing. 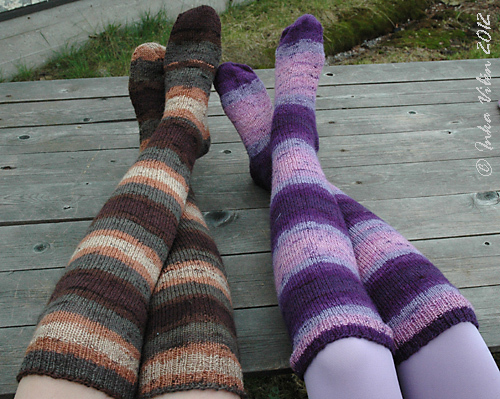 The legwarmers are nice and soft, but the yarn is no pleasure to knit. Well, been there, tried that. Used 55 grams of yarn for these legwarmers, so I have almost half a skein to use up (plus another skein of different colourway). I have knitted one Baktus scarf before (my first Baktus). It was an easy and fun project to use up random balls of yarn, so I decided to do it again. I had a 50-gram ball plus scraps of an old Novita Bella yarn (50% acrylic, 50% wool). It turned into a nice small scarf (Ravelry link). Needle 5 mm, used moss stitch instead of garter stitch, 57 grams altogether. 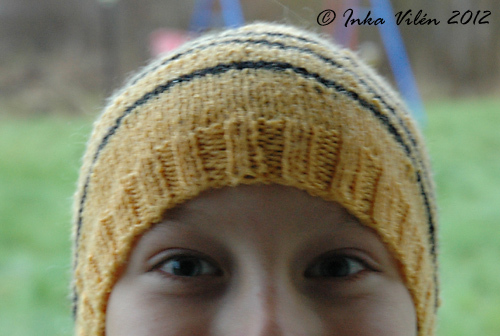 I thought I knitted this Baktus for me, but there were many of those who volunteered to take this one into a good use. We’ll see who ends up wearing it in a few months. 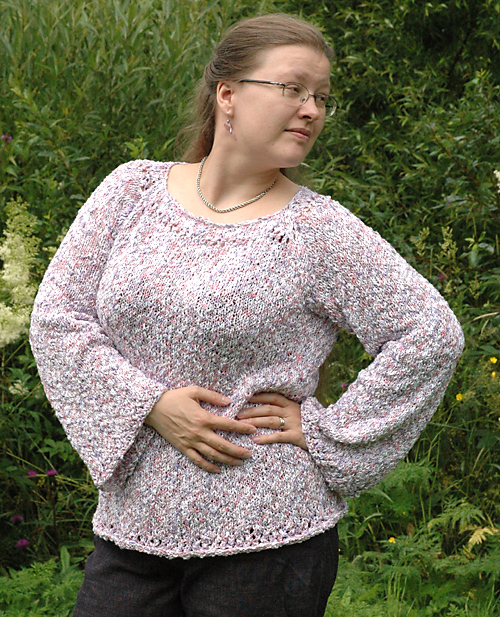 Coming up next: a streight flush in pink pullovers. To continue my shades of grey, here’s the final one. I cast it on in the beginning of January 2011 but only finished last winter. 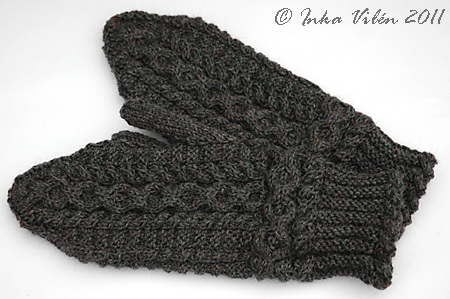 The pattern for Musica mittens (Ravelry link) was found in Ulla 3/2009. 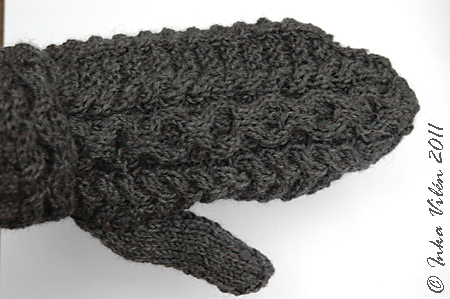 It was a different kind of pattern for mittens, with ribbing (above) that was knitted sideways. 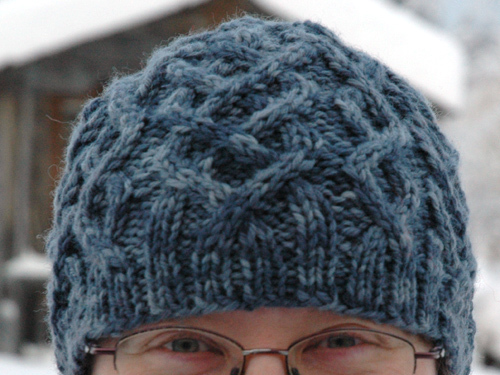 There were also plenty of cables and texture, which made them fun to knit. The picture above shows the palm side of the mitten. 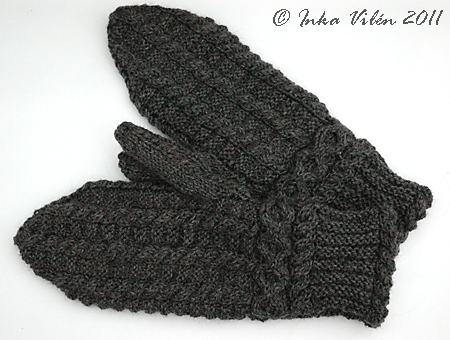 At first I thought I’d make these mittens with lining, but since the mitten didn’t turn out too big, I ended up leaving them as they are. 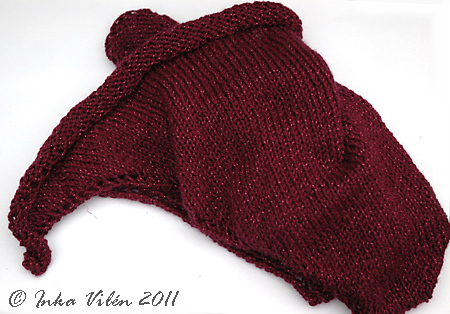 Yarn was (again) Nalle with 3.5 mm needles. 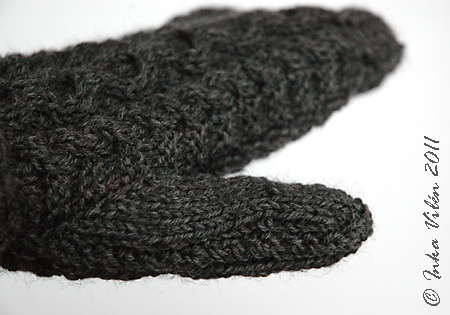 I loved all the details in these mittens; there was even a small cable on the thumb. Just beautiful mittens, they are.